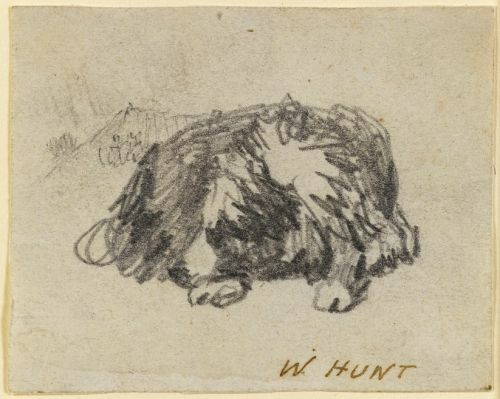 << Cecil Arthur Hunt, R.W.S. 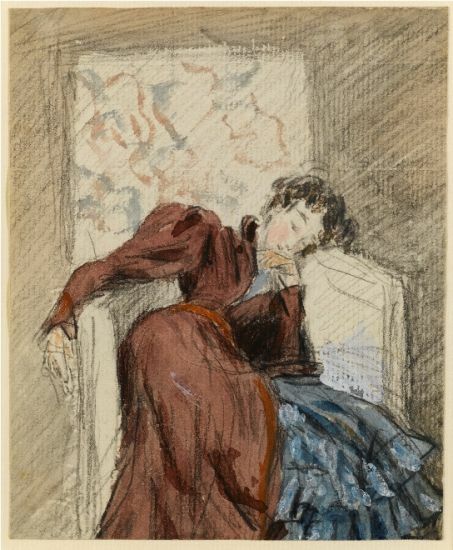 17 by 25.4 cm., 6 ¾ by 10 in. 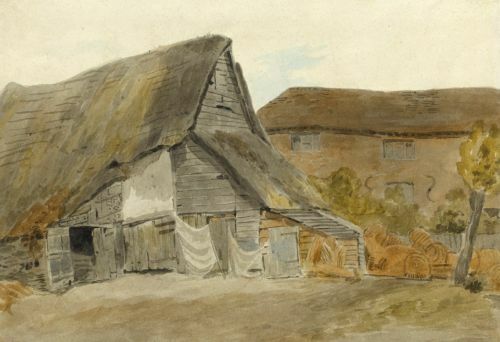 This is an early work dating from between 1808 and 1820 when Hunt?s early patron Dr Thomas Monro took a cottage at Bushey, Hertfordshire where Hunt was a frequent visitor. 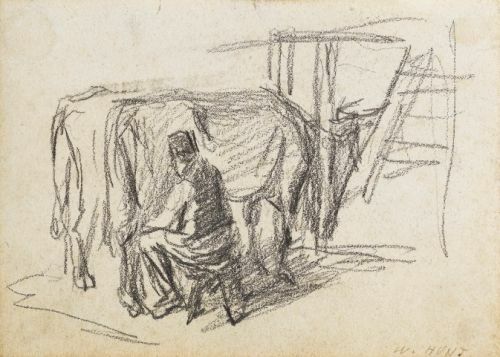 He produced a number of similar drawings of cottages and farm buildings during this period. A view of St Albans Cathedral by Hunt is in the Victoria and Albert Museum and a view of a street in St Albans is in the Yale Center for British Art, New Haven (see John Witt, William Henry Hunt, 1982, nos. 168 and 247). 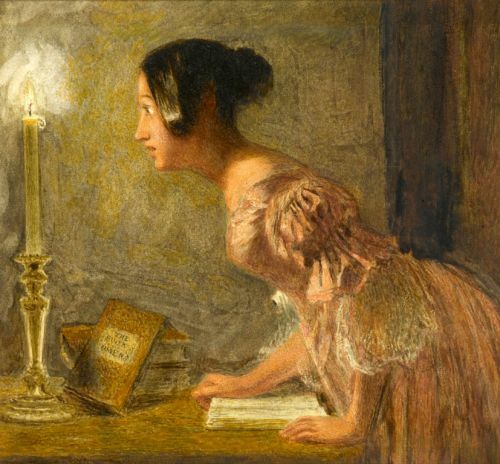 Hunt depicts an impressionable young woman who has been reading a book of omens and is consequently startled by a real or imaginary noise she has heard in a dark corner of the room. 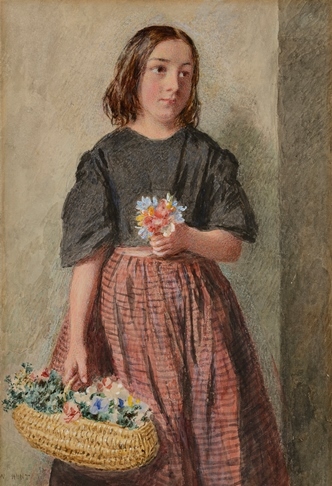 He often used members of his family as sitters and the present watercolour may show his daughter Emma, which would date it to circa 1845. 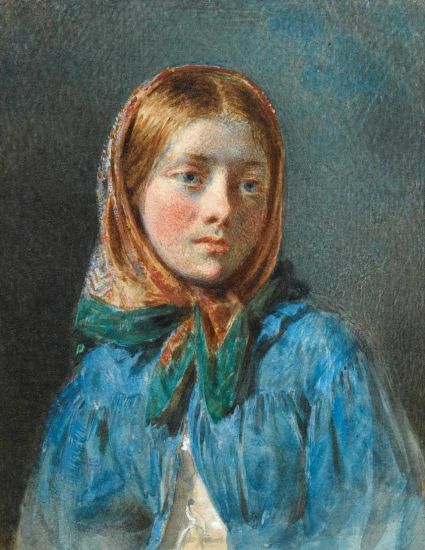 14.9 by 22.7 cm., 5 ¾ by 8 ¾ in. 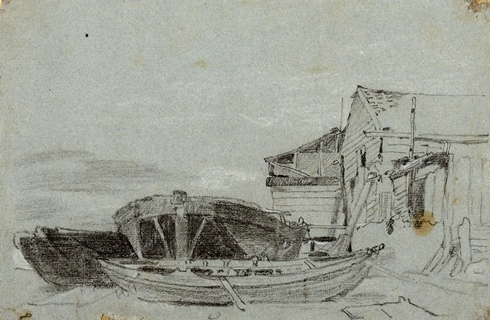 Hunt was born in Covent Garden, London and, showing promise as a draughtsman, his father apprenticed him to John Varley in 1806. 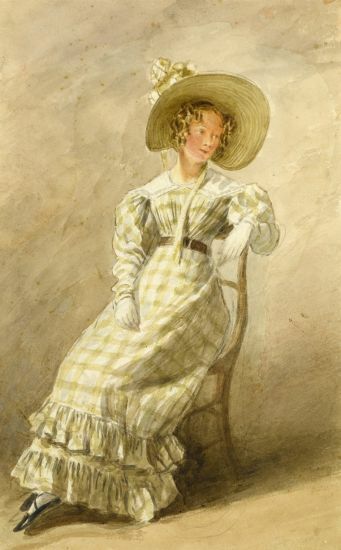 He entered the Royal Academy school in 1808 and soon afterwards he earned commissioned from the Duke of Devonshire and the Earl of Essex to drawing interiors at Chatsworth and Cassiobury Park respectively. From birth, he had deformed legs and walking was difficult so interiors, still-lives and portraits were obvious subject matters. 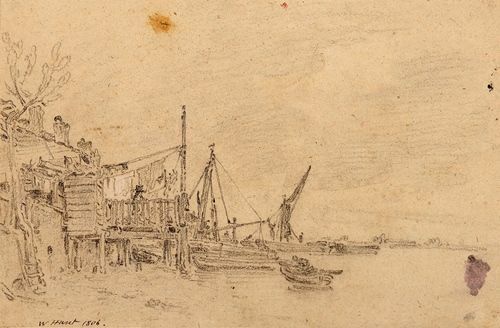 From the late 1820s he started exhibiting still-lives and soon achieved great success with collectors.